Julie believes in a holistic approach to wellness and wellbeing. As a licensed massage therapist since 2000, she offers Swedish, Deep Tissue, Sports, Myofascial Release, Reiki, Trigger Point and Le' Stone Hot Stone Massage. 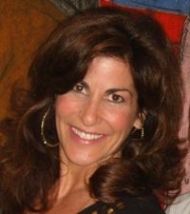 She is also a certified practitioner in Vibrational Sound Massage. This modality uses Zen Therapeutic Singing Bowls which combine powerful vibrations and tones to induce immediate relaxation, relieving stress and gently helping the body back to a balanced state. Julie is also in the process of getting certified by the American Association of Drugless Practitioners as an Essential Oil Coach. Using them in her practice and specializing in the Aroma Touch Technique. This profound Technique's aroma activates your olfactory and sensory stimulation induced by volatile aromatic compounds and human touch. Which instantaneously prompts powerful emotional, physiological, and biochemical responses. This is one of the primary reasons why essential oils can be so powerful in influencing well-being. Her mission is to support individuals in achieving life balance through personal wellness. A firm believer that "your biography becomes your biology" and in the inseparable connection between the mind, body and spirit. She is a proponent of massage for relieving physical, as well as emotional stress and strongly believes in massage as a viable modality for enhancing overall health and well being. Through compassionate and careful listening she addresses both physical and energetic issues, gently ushering your body toward peace, balance, relaxation and the potential for deep releasing on all levels.